Predictions are fun to do and even though Nostrodomis is a really awesome name.. Luis and I don’t have a crystal ball or a time travelling machine (as far as you know…), but there are some things evolving swiftly in the world of 3D food printing that we feel will at least be announced in this great year of 2016. 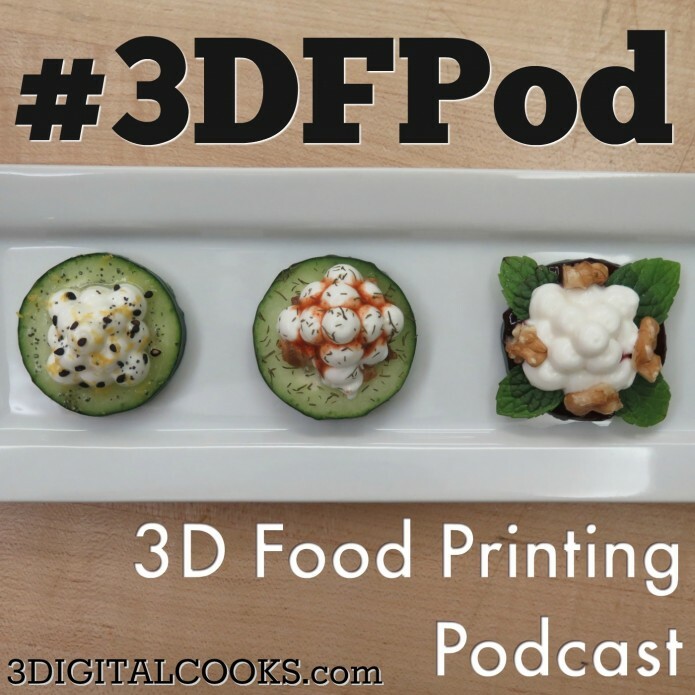 Feel free to share the 3D Food Printing podcast with anyone who you know who will get some value out of it. We make this to help spread the gospel of 3DFP so go ahead and join us and Preach ON! New 3D Food Printing Kickstarters…. We’re always happy when we see somebody take the leap into 3D food printing! On that note we want to let you know that there are two brand-spanking new 3D food printing crowdfunding campaigns that use/will use/want to use 3DFP as a new business. We have made contact with Martin from SCOFF3D and it looks like we will be in touch very soon. Here is a very brief rundown and a link for you to check them out for yourself. Please be aware that crowdfunding campaigns are a little risky as most people are still in the concept phase of their idea when they launch these. I’m pretty positive that the 3DC community knows that there has been VERY little succes for 3DFP in crowdfunding so make sure to do your due-dilligence before backing any crowdfunding campaign, 3DFP or not.